The For All Nerds Show are the Multicultural Maestros. We discuss the week in pop culture and geek, while keeping an ear to the street for the topics and controversies that affect the world of fandom--all from the perspective of people of color. Show hosts DJ BenHaMeen, Tatiana King Jones and Jeff J. serve as the cultural guides for this unique show, along with a revolving cast of guests that run the gamut of industries--from music and politics, to comics, movies, television and tech. 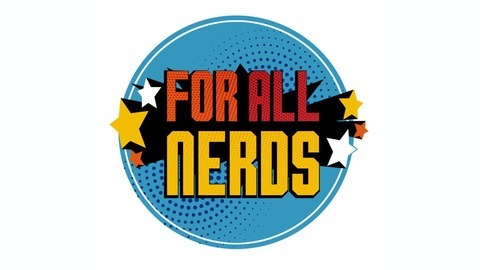 For All Nerds Show is a member of the LoudSpeakers Network (https://soundcloud.com/loudspeakersnetwork) and is published every week on Spotify, Apple Podcasts, Soundcloud, Stitcher, Google Play Music, and iHeartRadio. Visit http://ForAllNerds.Com for more greatness. Email us at: contact at forallnerds dot com. In this episode, Tatiana and Jeff J co-captain the ship to chat about the latest and greatest in geek culture. They contemplate whether or not HBO will matter after Game of Thrones is over, ogle over the massive amounts of content Disney+ will have available on launch day, and try to come to terms with the fact that there are such things as Beyhive extremists. Put on your headphones and tune in! 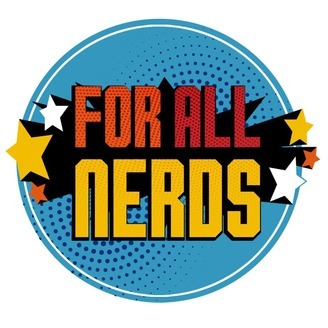 Be sure to subscribe to ForAllNerds on all platforms!